GAROWE, Puntland- A member of Puntland Parliament has presented reports on financial donation received from Federal government that previously denied by Puntland President during the recently opened 38th session of Parliament, Garowe Online reports. 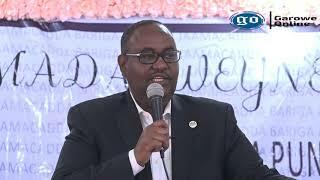 In a SBC interview, Osman DIriya Kulane said that Puntland government has received an amount of $3,250,000 Million as part of the $20 Million foreign donation to Somalia, whereas $10 Million of it were distributed to the regional states. Kulane who obtained an annual financial report of the Federal government, which indicates a financial support to regional states, has questioned Puntland Finance Minister and Puntland President to shed light on the report but both claimed they were not aware of the donations. 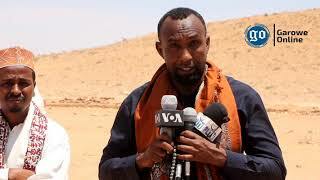 During the interview, Kulane called the Federal government to clarify on whether Puntland government has received the financial aids or its a falsified information. 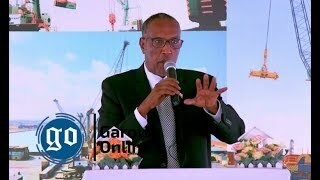 Last Saturday, Puntland President Abdiwali Mohamed Ali Gaas has addressed the state Parliament and during the session he was questioned on financial donations that were omitted from government budget but opted only to explain the exceeded budget expenditures of State House. Early this year, Somalia has received a financial aid from Saudi Arabia on the same day it has announced it was cutting ties with Saudi regional rival Iran. 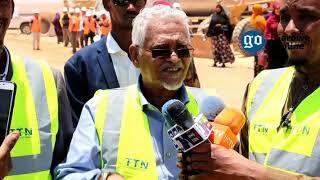 The donation was partially distributed to Puntland, Southwest and Galmudug, whereas some of it used to form the newly established Hirshabelle state. So far Puntland government officials have not released any statement in relation to the claims of financial support from Federal government. 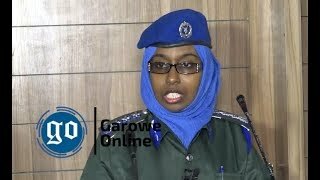 In the recent report released by Berlin-based Transparency International organization specialized in analyzing public sector corruption in countries, had listed Somalia as one of the most corrupt countries in the world.